I want to assure you that, if you reach in earnest, you would grasp the crucial answers. You would also find the treasure-trove of heavenly hope that brings unspeakable joy. It is disconcerting to consider how colossal suffering can quickly bring any of us to our knees; life can indiscriminately prove our fragility in an instant. But there is a way to prepare for and to cope with tribulation. For more than fifty years, I have faced varying degrees of challenges and hardships; my birth defect has certainly been a factor. Yet, through my trials, I made a discovery that has proven itself to be effective and essential for my survival. My discovery did not come easy. My circumstances and state of mind over 25 years ago made this difficult and slow-going to put into practice; I am still growing. But I have known and was inspired by people who rejoiced in their sufferings. Once I aspired to live according to their “upright” examples, I began to see the hope that they could see; their way leads to hope for everyone, even for someone like me. Therefore, I try to be that person who diligently seeks wisdom, stands for truth, and lives to do what is right. During trials, that person’s traits are most desirable; he is hopeful and loving in patience and humility. He has a healthy perspective from where he faces every tomorrow. Should his entire world be decimated and fall into ruin, he might weep over lost comforts; he is still only human. However, his tears would ultimately wash away the ashes of devastation; he would not grieve beyond the night. By the morning sun, the fortress of his impenetrable character would be revealed and would shine for all to see. Therein lies his source of strength in a sustenance of hope that replenishes peace and contentment. Instead of putting hope at risk in life’s wasteland, cradle it in the one location that is securable against harm from neighboring madness; your heart should be this refuge where peace can flourish amidst an ever-renewing crop of hope. Until darkness comes, venture beyond the walls toward every horizon. Live a full life, and explore different paths in search of joy. Every road has its challenges, but you would be strengthened in your faithful endeavor to overcome life’s obstacles. Toil against the large rocks of adversity that block your way; move them, even ever so slightly, to uncover seeds for hope. My book, The Hope in Personal Apocalypse, is a guide in planting for a new harvest – a supply to sustain a strong foundation for hope in your life. Learn more about my book at http://JeffUlrichLegacies.com. Heavenly Father, my hope is built on nothing less than Jesus’ blood and His righteousness. I trust no other foundation. I wholly lean on Jesus’ name. 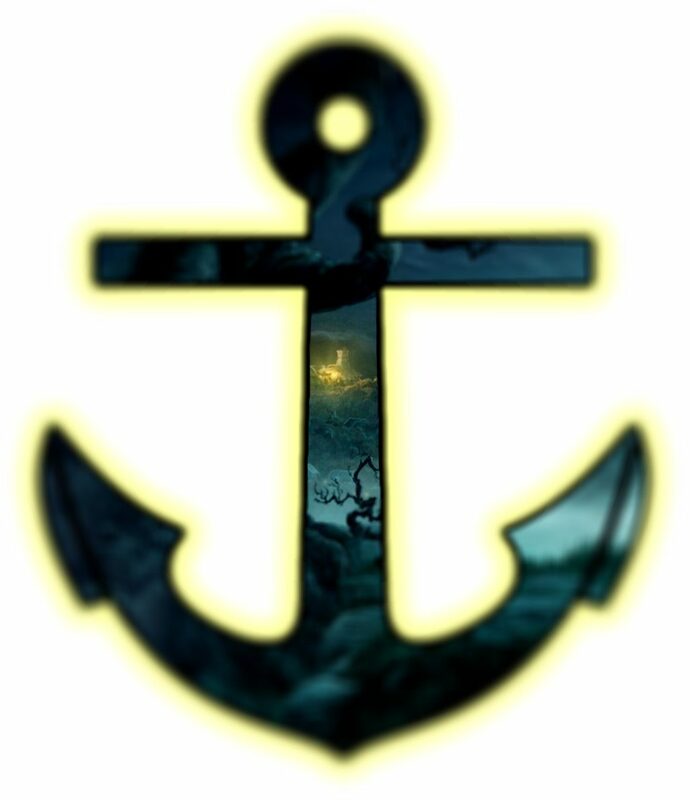 When I cannot see my Savior in the darkness, I rest on His unchanging Grace; and my anchor holds in every storm. Oh, God, when the angels trumpet at Christ’s return, I long to be standing faultless before Your throne – dressed in Your Son’s righteousness. Thank You for supporting me with the promise, covenant, and blood of Jesus. When my soul gives way to the overwhelming flood around me, Jesus is my hope and protection. Lord, I praise You for Your love and mercy. Amen. Click Here To Read More About Me And What I Found Beyond Personal Apocalypse, Near To Heaven’s Backyard! Thank you, Jeff. Truly, your life exemplifies one that chooses to live beyond situation and circumstance. In the Old Testament, one of the Hebrew transliterated words for hope is tiqvah. Tiqvah means hope and expectation and at its root is a cord. The symbolic meaning is that our God offers us His cord of hope and as we take hold we find Him to be secure, steady and One that never lets go – no matter what takes place in our lives. I believe you’ve been holding tight to that significant cord of hope and your God has held and guided you through your life. Take good care, and thank you for stopping by my blog. Blessings! Yes, you describe the hope that I know. The world tries to change the meaning to wishful thinking. But ours is the hope in which all who love the Lord can feel confident. My heart’s greatest desire is to share this hope so that others would see it in their lives. If everyone could see what I could see, the world would be changed for the better. This world desperately needs to savor the non-koolaoid taste of true hope. Blessings to you as well. I will be following you. Hi Jeff, what a great a visual expression – “non-koolade taste of true hope.” I love that! I pray that your book does very well – we live in an age where the hope in Christ needs to be poured into the hearts and souls of us all! Blessings! 😊 Amen to that! Blessings to you and thanks. Thank you, Jeff! Have a great day!